Originally from Bloomfield Hills, Michigan, Dylan graduated with a BS degree in Biochemistry from the University of California, Los Angeles Honors College. He obtained his MD degree from St. George’s University School of Medicine in Grenada. After graduation, he began his neurosurgery residency at Wayne State University/Detroit Medical Center in 2017. 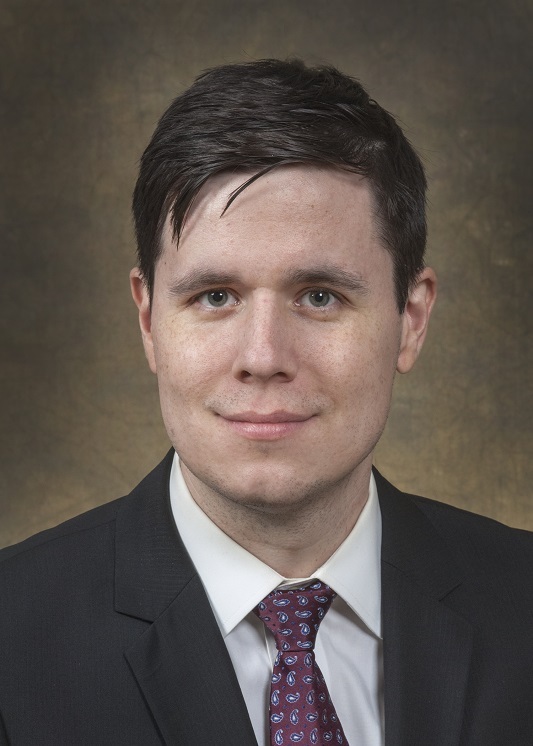 Dylan’s clinical and research interests include open vascular, endovascular, and pediatric neurosurgery. Anand, R., Garling, R.J., Poulik, J., Sabolich, M., Goodrich, D.J., Sood, S., Harris, C.A., Haridas, A. Sporadic meningioangiomatosis: a series of three pediatric cases.Cureus. 2017 Sep 1;9(9):e1640. Bang, H.J., Littrup, P.J., Currier, B.P., Goodrich, D.J., Aoun, H.D., Klein, L.C., Kuo, J.C., Heilbrun, L.K., Gadgeel, S., Goodman, A.C.. Percutaneous cryoablation of metastatic lesions from non-small-cell lung carcinoma: initial survival, local control, and cost observations.. Journal of Vascular and Interventional Radiology. 2012, Jun; 23(6): 761-769. Cited in PubMed; PMID: 22626267. Pub Status: Published. Bang, H.J., Littrup, P.J., Currier, B.P., Goodrich, D.J., Choi, M., Heilbrun, L.K., Goodman, A.C.. Percutaneous cryoablation of metastatic lesions from colorectal cancer: efficacy and feasibility with survival and cost-effectiveness observations.. ISRN Minimally Invasive Surgery. 2012, Sep; 2012(2012): 1-10. Cited in PubMed; PMID: 25621178. Pub Status: Published. Bang, H.J., Littrup, P.J., Goodrich, D.J., Currier, B.P., Aoun, H.D., Heilbrun, L.K., Vaishampayan, U., Adam, B., Goodman, A.C.. Percutaneous cryoablation of metastatic renal cell carcinoma for local tumor control: feasibility, outcomes, and estimated cost effectiveness for palliation.. Journal of Vascular and Interventional Radiology. 2012, Jun; 23(6): 770-777. Cited in PubMed; PMID: 22538119. Pub Status: Published. Goodrich, D.J., Patel, D., Loukas, M., Tubbs, R.S., Oakes, W.J.. Symptomatic retethering of the spinal cord in postoperative lipomyelomeningocele patients: a meta-analysis.. Childs Nervous System. 2016, Jan; 32(1): 121-126.Cited in PubMed; PMID: 26248669. Pub Status: Published. Littrup, P.J., Bang, H.J., Currier, B.P., Goodrich, D.J., Aoun, H.D., Heilbrun, L.K., Adam, B.A.. Soft tissue cryoablation in diffuse locations: feasibility and intermediate term outcomes.. Journal of Vascular and Interventional Radiology. 2013, Dec; 24(12): 1817-1825. Cited in PubMed; PMID: 24060437. Pub Status: Published. Tubbs, R.S., Goodrich, D., Tubbs, I., Loukas, M., Cohen-Gadol, A.A.. A novel method for passing cerebrospinal fluid shunt tubing: a proof of principle study.. Childs Nervous System. 2014, Dec; 30(12): 2115-2117. Cited in PubMed; PMID: 25129404. Pub Status: Published.